Your experience at juliemathewsHAIR is our number one priority. 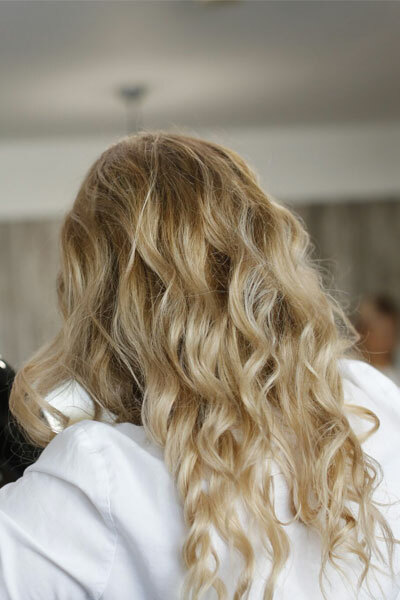 Every aspect of your appointment has been crafted to ensure that you benefit from a personalised, one-to-one service and enjoy a relaxed and rejuvenating hairdressing experience. “My mum had been talking so highly about her hairdresser juliemathewsHAIR that I thought I’d try it too – that was 16 years ago and I’ve never looked back! Julie is amazing. She has a real talent for identifying and delivering the help your hair needs to be the best version of you. She takes the time to understand your hair and she’s so passionate about bringing it back to its most natural and healthy state. People comment about how healthy my hair looks which is remarkable as I have a lot of white hair which is course and very resistant to hair colour. As it would require frequent dying, it’s great to be using a natural hair dye which is ammonia free and such good value. 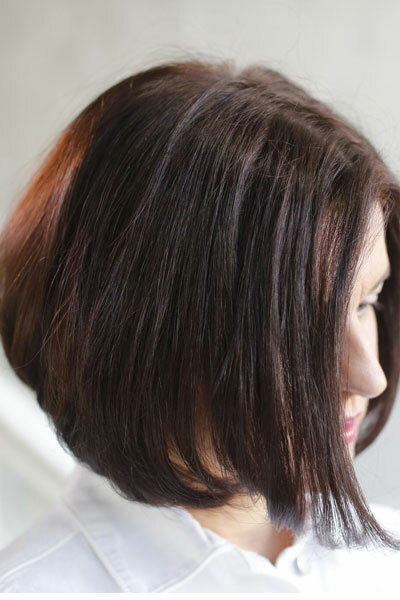 “After years of hair dye stinging my scalp and following a horrendous salon experience when the burning was so intense I feared that my hair would fall out, I discovered juliemathewsHAIR. Initially I was interested in trying a gentler alternative to these harsher hair dyes but I’ve gained so much more – Julie is a superb hairdresser. 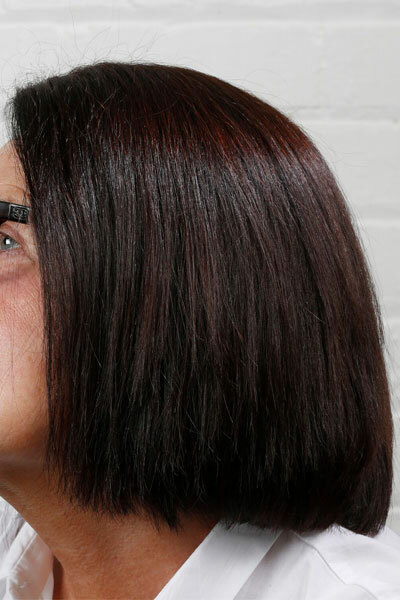 I have very thick hair which I wear in a shorter style but Julie cuts it in a way that I can now manage it myself. The herbal hair colour is great too as it’s gentler on my scalp and it lasts longer without dulling, like previous hair dyes tended to. My hair used to go frizzy at the ends but now the texture has completely changed and I no longer even have to straighten my hair. “When I first heard about Julie’s herbal hair colour, I thought that I’d give it a try as my hair was very course, almost straw-like, and hard to manage. However with Julie’s wealth of experience and knowledge she has worked at transforming my hair. It’s now shiny, healthier and much easier to maintain. Unfortunately I was then diagnosed with cellulitis and during treatment my medical team had prepared me for the aggressive side effects of hair loss however with Julie’s good care and expertise, she has helped it to grow back thicker and looking better than ever. My medical team can’t believe how good my hair condition is and I know it’s all down to Julie. I also have arthritis so to have free car parking right outside the door is ideal and with the one-to-one appointment system, you know that you’re Julie’s number one priority. I can wholeheartedly recommend juliemathewsHAIR. 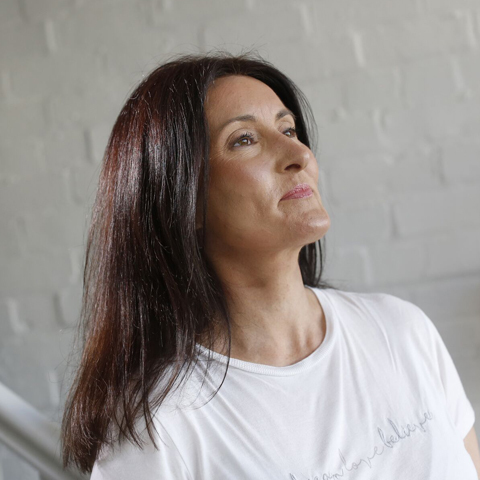 “Suffering with extreme allergic reactions from over the counter and standard hair dyes left me with a severe fear of hairdressers, whereby I was genuinely petrified of going into a salon. Foils would burn red hot and my hair would steam from the harsh chemicals found in many regular hair dyes however discovering juliemathewsHAIR has been life-changing. I was reassured by the one-to-one appointment setting as it reduced the fear of embarrassment of having a salon full of stylists and customers looking at me, should something have gone wrong. Fortunately this never happened and I’ve been going to Julie’s hairdressing salon since 2010. Julie is such a positive person who always puts me at ease and reassures me throughout my appointment. I completely trust her and now, I can explore a full colour range and be confident that I’m in safe hands. Before going to juliemathewsHAIR my hair was very dry and brittle however the herbal hair dye has really helped to recondition my hair and it’s now much healthier. 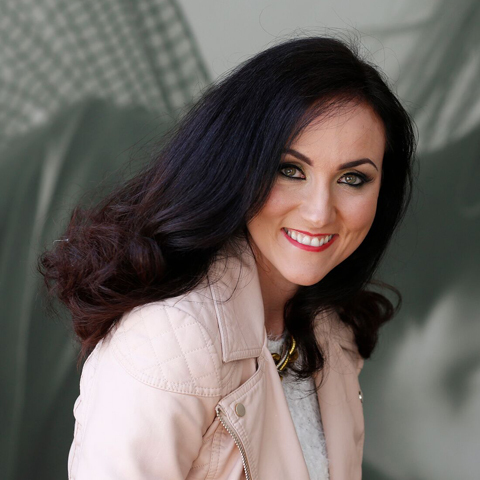 “Having searched for a good hairdresser for many years, a friend recommended juliemathewsHAIR in Banbridge two years ago and I’ve been going ever since. My mum now goes too and she’s also delighted with the results. 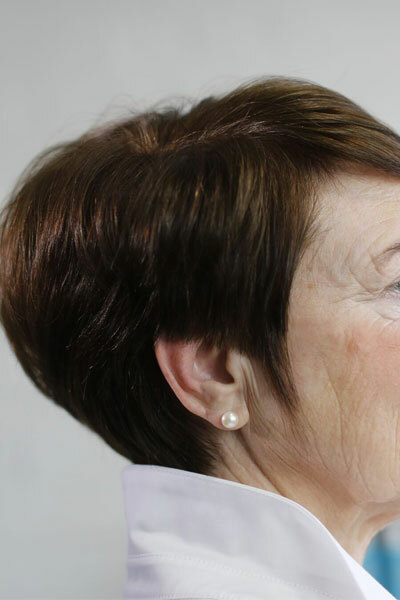 Whilst anyone can become a hairdresser, it’s very difficult to find a good hairdresser like Julie. She has a wide range of fantastic herbal colours as well as a superb knowledge base but most importantly for me, she listens to what I want. 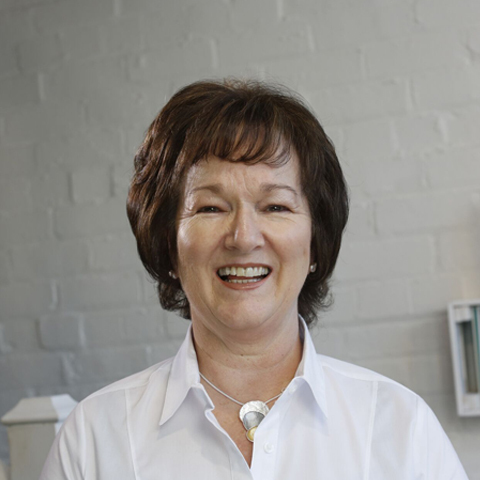 Underpinning it all, she has a genuine passion for restoring and maintaining the health of her clients’ hair, which shines through at each appointment. Before I went to juliemathewsHAIR my hair was very dry and frizzy, with no shine. Now it’s completely different – it’s soft, glossy, stronger and so well cut and naturally coloured that its restored health has meant that I can grow my hair with confidence. 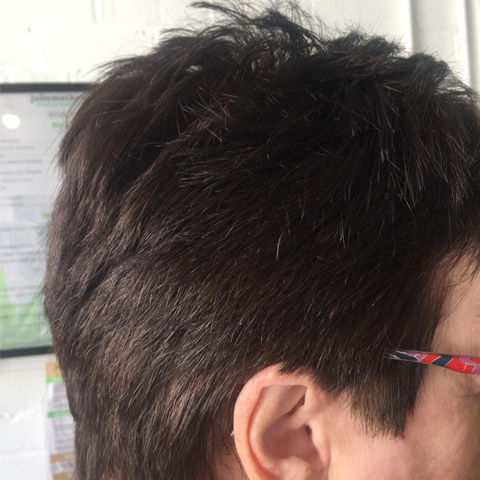 “Over six years ago I was experiencing hair loss as a side effect from treatment for high cholesterol and a friend recommended that I try juliemathewsHAIR. Previously other salons had said that their hair colours were free from chemicals but in my opinion they were not, and I was feeling disheartened after each appointment. I was willing to give juliemathewsHAIR a try and after the first year I can honestly say that the difference in my hair was like night and day. 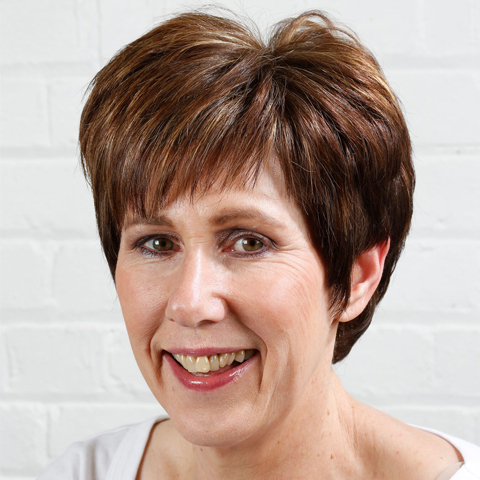 Julie’s herbal hair colour is so gentle that there was no further hair loss – my hair was stronger and looked and felt healthier than ever before. After seeing such a turnaround in the health of my hair firsthand, my daughter Jenny started going to juliemathewsHAIR too and she loves the whole experience. It’s great to know that the health of her hair is being looked after from the outset. 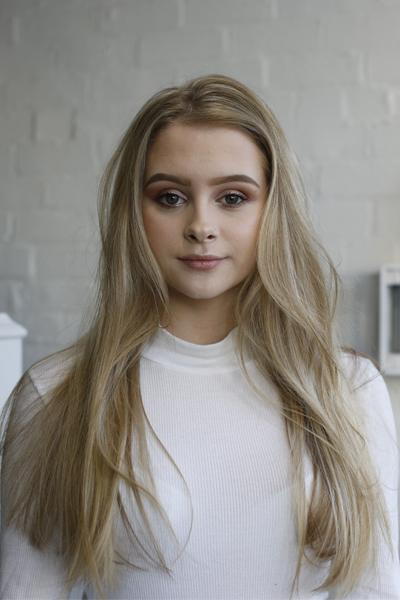 Using mesh as the hair colouring process, I’ve used three different shades of permanent blonde herbal hair colour – honey, ash and dark blonde, on top of the base colour to create a natural looking effect. 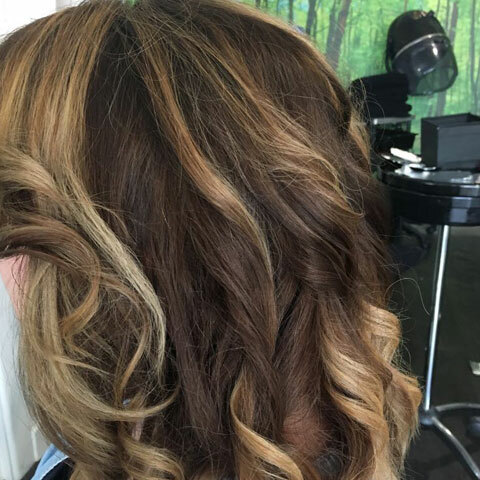 A sun-kissed look using the freehand Balayage technique. Hannah’s base colour has been enhanced with honey and golden tones resulting in natural looking highlights. 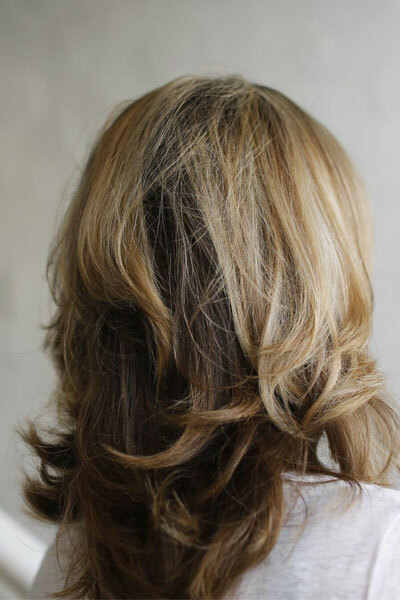 A curly blow-dry to create curls with movement completes the look. 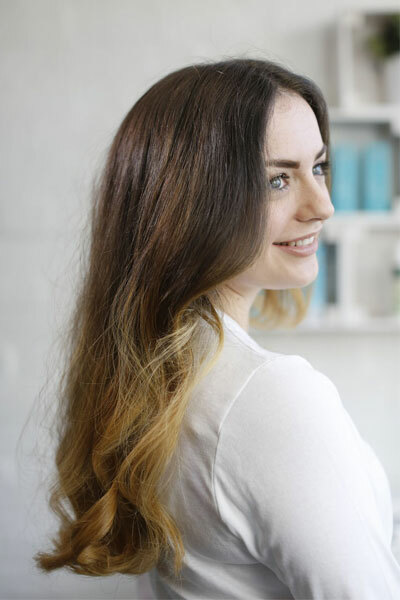 Joanna’s long-length hair is natural at the top with golden Balayage ends to give added depth and dimension. It’s a more natural colour trend which has been finished with a curly blow dry. My own hair! Natural from the roots with a free-hand ash permanent herbal hair colour applied from the mid-length to the ends. The curl gives added dimension and volume. As a natural blonde, Julie’s hair has not been over processed. In fact, the entire bottom section of her hair is her own natural colour which I have enhanced by adding three shades of herbal hair colour in honey, ash and a very fine gold. These shades are applied to the top area resulting in a stunning three-dimensional effect which is complimented with a mid-length, long layered cut. The bob – a classic and chic hairstyle which is timeless. This showcases the red multi-tone effect in the permanent herbal hair colour at juliemathewsHAIR. A dramatic modern cut with multi-tonal shades of golden brown and soft copper tones, all from one permanent herbal hair colour, which complements Anne’s skin tone. Heather has very thick hair which looks striking in this straight, sharp, bob style. The herbal hair colour is one shade of brown only, however due to its multi-tonal effect it gives the impression that there have been a number of brown shades applied during the hair dying process.